Home | Reviews | Pantene Gold Series Review 2019: Is The Hype Real? There are many, many hair care companies around. Some make it, and others don’t. It is the nature of the business. Likewise, there are many products in the market, old and new ones alike, and all of them are (pretty much) claiming to be the perfect solution for your washing and styling needs. Pantene is a company which has proven itself worthy of its many accolades. Pantene “brings it,” so to speak, and its products can be found in countless homes around the globe. In the 1940’s, Swiss scientists began working on advanced hair care formulas. Many years later, in the 60’s, the company’s signature Pro-V formulas were concocted, and the famous 2-in-1 shampoo and conditioner made its first appearance in the 1980’s. This series is primarily, but not only – for those of us with textured hair. Anyone with any kind of kink in their hair will be able to tell you tales of trying to find the right kind of shampoo or conditioner. Sometimes it can be a real hassle until you find a product which works for you. And even then, changes in the environment, hormones, and even mood or diet can all contribute to ongoing changes in your scalp and its oil secretion. The Gold Series is one of those products which may be able to provide a rather steady, long-term hair care solution for those which have hair in different shapes, drier scalps, and those who are in need of more moisture than usual. Some use shampoo made for ordinary hair, and others use one which was created precisely for their kind of hair. I feel the key with hair care products is: whatever works. If you find some ordinary drugstore shampoo which works miracles on your hair – go with it. No reason why not, as long as you are happy with the company, the formula, and its results. Pantene Gold Series moisture boost shampoo. All hair loses moisture, all the time. It’s only natural. This shampoo is designed to strengthen and hydrate your hair, making it easier to work with, cleaner, and more manageable over time. 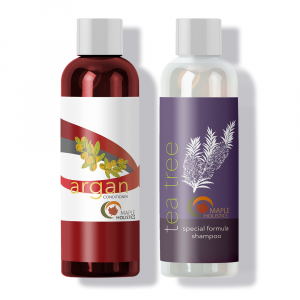 The most notable ingredient is the essential oil of argan, which appears in many hair care products, and with good reason. 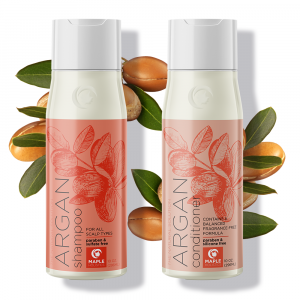 The oil found in the argan nut is one of the most amazing substances that can ever touch your scalp. When used properly, and in moderation, it can be THE ingredient, which makes the difference between a “yes!” and a “no!”. So, the boost shampoo goes on like any other one. Massage into scalp, finger-comb through the hairs, let it sit a bit, and rinse. And while you let it sit, this shampoo is working its magic on your locks. If your hair is dry, nappy, or damaged in some way, this shampoo can help restore some lost vitality and shine, and keep your hair soft and silky. 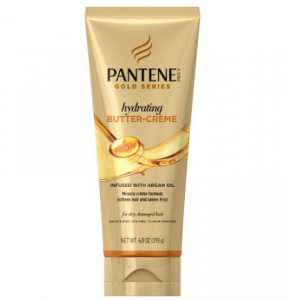 Pantene Gold Series hydrating butter-creme. This is a leave-in cream, which melts into your hairs and gives them serious hydration. This product is designed for those of us with lots of frizz. I personally believe that frizz actually looks good on some people. I enjoy the look of natural flyaways and rogue strands. Some totally make it work. But if you want to tame your frizz and protect your textured hair during times when the weather or environment is less ideal, this is a wonderful solution. Whether you have straight or curly hair, there are times when you look in the mirror and are thoroughly unsatisfied with the way your hair looks. It happens. We’re human. But ah-ha! Here comes Pantene with its cream, which helps to soften and style to your heart’s content. Like other products, this should also be used in moderation. Pantene says it is soft enough to be used as often as necessary, but for each of us that could mean something else. I enjoy using products like this when necessary, but not on a daily or even semi-daily basis. That’s what shower- and bath-related products are for. To give you that day-to-day protection and nourishment, use your regular products. To give your hair a boost, an extra oomph, use a leave-in cream. For use between washing days. 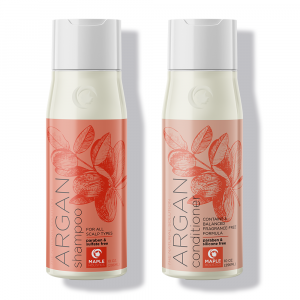 Everyone knows – or should know – that conditioners are not meant for everyday use! There are times when you want to look great between washing days, and this is one of those quick solutions. And I don’t mean that in a bad way, mind you. I mean it in a good way since this really is a good solution during times when you don’t want to wash and condition. As I said, moisture is important, and it is always lost. It is in the nature of the scalp and the hair to go through periods of ebb and flow. This is a subjective thing, obviously, and it has a lot to do with your hair care routine and your hair type. In general, it is a good product which gets the job done, and forms a way for you to manage your hair without washing it again. Too much shampoo and conditioner are not a good thing, after all. Even if you use the best shampoo and conditioner for your hair, there could be days when such a co-wash is necessary. Whether it is a bad hair day or a good hair day which you need to be great – nothing beats a healthy dose of moisture. It makes your hair bounce and serves to maintain your scalp’s natural oils. This formula is a low-lather one, and it is meant to replace your shampoo and conditioner for the day. Apply, massage well, and rinse. 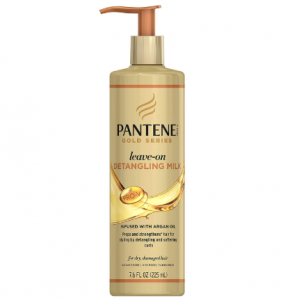 Pantene Gold Series leave-on detangling milk. Gold Series is all about moisture, and this particular product is no different. It is a leave-on which works with damp or wet hair, and which preps it for styling. Some use this product in conjunction with the hydrating butter, but I found that for me it neither adds or takes away for it. You could experiment and find which way works best for your hair. In fact – you should experiment since that is how you discover what combinations work for you on a personal level! You work this milk into your hairs, but not the roots. After applying with your hands, you use a comb or other apparatus to distribute it properly throughout the head. Here, another conditioner for use in the bath or shower, one to be used from root to tip. Once you work it in and rinse it out, the company recommends combing before towel drying for maximum effect. Like other conditioners, this is probably not one which you should use every day, even if it does say ‘daily’ on it. I don’t know, maybe I am judging this whole conditioner thing too harshly. I am sure that some are indeed meant for everyday use, but I just enjoy giving my scalp room to breathe between showers and stuff. It is entirely possible my mind will change if I find some formula which does it all, without compromising my scalp’s oil natural oil. Now, to the matter at hand – this conditioner is great. It helps the hair come out clean and shiny, and with no tangles to speak of once brushed through with a comb. One of the great things about Pantene is that they are highly affordable. They work hard to maintain that image which is luxurious on the one hand (results), and affordable on the other. You don’t necessarily have to use luxury-cost products to get great hair. Like I said, hair care is almost-annoyingly subjective, and what works for one may be completely lost on another. This conditioner works, and it works well. My advice? Use in moderation, and as needed. It may be paraben-, sulfate-, and dye-free and all, but it is still a product, manufactured and mass-produced by a factory. It could probably never truly replace your own self-care and mindfulness, no matter what the label says. Use it, but don’t abuse it. 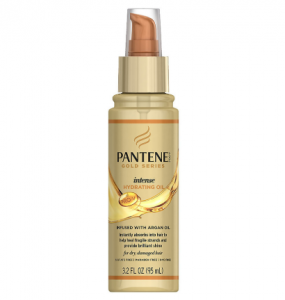 Pantene Gold Series intense hydrating oil. 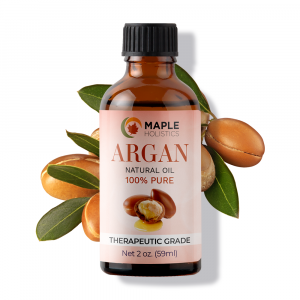 Argan oil has some truly amazing properties. The argan tree is dubbed the ‘Tree of Life’ by locals in its native Morocco and Algeria, and it is under the protection of the UN because of its immense significance. 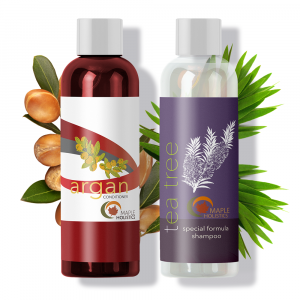 Argan oil is used for a great many things, and one of the most widely-known uses is in hair and skin care. The intense hydrating oil by Pantene is made for countering the potentially-harmful effects of various styling tools – devices which heat, cool, pull, and pry on the hairs and roots of those who use them. Not all styling tools are detrimental, but some make your hair look really great, at the cost of its long-term health. Because of this, Pantene wanted you to be able to have your cake and eat it too. Can it work? Can it be? Pantene says yes. Like other Gold Series products, it is free of parabens, sulfates, and dyes. And yes, like other Gold Series products, it is not for every single user. However, of the many different Gold products, this is one which I find to be most beneficial and highly accessible. Apply to your hair (best if it is damp or wet), and voila! It is an argan-infused powerhouse of strength and shine. The best thing about argan is how quickly it goes to work. With most hair types, I’d venture to say that you see results take shape right before your very eyes. Whether it is your first application or your fiftieth, Pantene has got you covered. Anyone with dry or damaged hair will most certainly appreciate this on-the-go styling solution. The company recommends it specifically before hot styles are made, but I have a feeling this is a go-to for many consumers, regardless of their intended style or hair type. 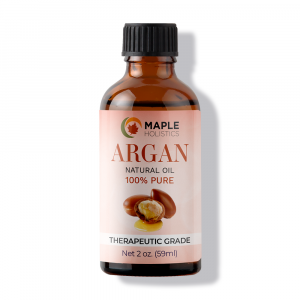 Argan is that good, and it can do wonders for even the worst-case-scenarios within minutes. 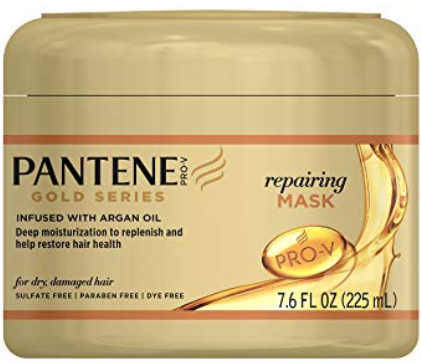 Pantene Gold Series repairing hair mask. Yet another leave-in, which can work in conjunction with other Gold Series products. A hair mask is designed to provide the scalp and hair with ingredients which are not used in conditioners or shampoos. Leaving it in, for at least seven minutes, allows for those ingredients to really get in there and penetrate the hair shafts. You could use it after shampooing – Pantene recommends this – or even as a one-off repair solution. It should probably accompany a shampoo of some kind, in an ad-hoc fashion, but if you find that this mask is all you need in the shower, then do it and see how it comes out. Take note, though. It is not meant to replace your routine care methods, but rather supplement them when necessary. The Pantene professionals engineered this formula to be used as often as you need, but do make sure that your hair is in a condition which merits it. You don’t want to suffocate your pores and follicles with this mask – quite the opposite! Pantene Gold Series curl defining pudding. You know what they say – there’s always room for pudding. Okay okay, it’s “Jell-O”, but the idea is the same. For all you curly haired humans out there, this is a product which will provide your curls with a new definition of, well, definition. Its formula is capable of strengthening curls and bringing their frizz under control. Once again, I am a fan of occasional frizz and runaway locks. I think it has its own beauty. Many don’t share my view – fair enough – and they want a set of tight, tamed, strong curls. 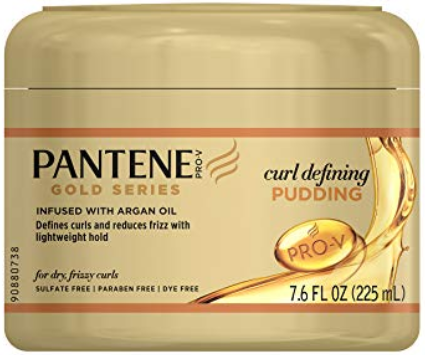 This pudding is very much like some of the other products in the series, except that it is specifically designed for curly hair. You can get the best of both worlds here, by providing your curls a way to become more well-defined, without giving up their softness or natural bounce. There are many types of curls out there (and thank goodness for that! ), and yours could probably a pick-me-up if they are ones which have been through heating devices or aggressive hair care products. This pudding is one way to get the look you want but beware. Its consistency can be gel-like – which is not the best for curls – and if you use too much of it, it may cause your hair to stiffen up. Unless that is a look and feel you enjoy, refrain from overuse. This is a good tip for just about any hair care product, but it seems more fitting here. Sometimes curls just go wild, and you may be more tempted to overuse in that case than with ordinary hair. 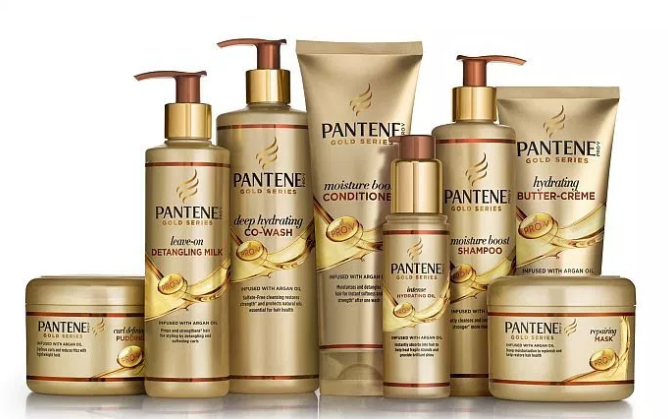 The Gold Series is a relatively new addition to Pantene’s lineup. It may take some time to see how it measures up compared to other lines of hair care products. We’ll keep our eyes, ears, and hair follicles open to see what the future holds. This series is said to be engineered by scientists and perfected by stylists. Pantene has a reputation to maintain and a very fine one at that. For over 70 years, it has been providing us with some of the better hair care products out there. Go ahead, pick up a bottle of your choice. One of the best things about Pantene is that they are overall affordable and widely accessible. Maybe it is for you, maybe it isn’t, but there is only one way to find out. Have fun with your hair! It’s part of what it’s all about.